At the international festival of animated films for children „Biennial Event of Animation Bratislava (BAB) an international jury decides the winners in competition which awards the Main prize – Viktor Kubal´s Award for the best film (it is granted since 2003), Visegrad Award – St. Vojtech´s Award for the best film of the Visegrad foursome countries (it is granted since 2003), UNICEF Award (it is granted since 2001), CIFEJ Adward /of International centre of films for children and young people (it is awarded from 2003) and a Special Jury Award. In the noncompetitive part the special appreciations are awarded: Prix Klingsorsor (prize for lifelong work in area of animated film for children; it is awarded since 1991) and Honour Medals of Albín Brunovský for extraordinary artistic, fine art and specialized contribution in area of animated film (it is granted since1999). The children´s spectators vote after performances and they award the Prize of children´s spectator. Periodicity: every two years. At the international competitive show of originals of children´s books „Biennial Event of Illustrations in Bratislava (BIB)” that takes place under the auspices of UNESCO and International Union for Children´s Book (IBBY) the international specialist jury of BIB composed of theoreticians of fine art, illustrators, publishers and librarians evaluates the illustrations originals and it awards appreciations for the best works: Grand Prix, Golden apples of BIB (5), Plaques of BIB (5) and Certificate of merit to a publishing house for significant publisher´s deed. The prizes are awarded from the beginning of event in 1967. The author, which will obtain Grand Prix BIB, presents itself in the following year of BIB by separate exhibition at the following year of BIB and he becomes member of the international jury of BIB. 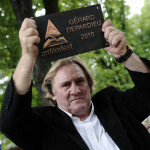 Excellent Slovak illustrators gained the BIB awards: Albín Brunovský (Golden apple BIB 1967, 1977, 1981), Dušan Kállay (Grand Prix 1983, Golden apple of BIB 1973, 1975, Plaquette of BIB 1993), Viera Bombová, Ondrej Zimka, Miroslav Cipár, Róbert Dúbravec, Ľuba Končeková-Veselá, Róbert Brun and further. 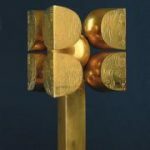 Since 1993 also the Children Jury Prize is awarded, the children´s jury is composed of the winners of fine art competitions of the whole Slovakia. In the past also the Golden Plaquette of BIB, Silver Plaquette of BIB, Bronze Plaquette of BIB, Certificate of merit of BIB were awarded in addition to mentioned awards. The Actor´s Mission is a special festival award that is awarded at the Art Film Fest International Film Festival to domestic and foreign actor´s personalities for an extraordinary contribution into the film actor´s art since 1995. The holders placed the Brass Plaquette personally on the Glory bridge in Trenčianske Teplice since 2016 when the festival was brought over into Košice, into the Glory small river in the city centre. We can find among laureates many famous names of the world Slovak a Czech cinematography, excellent actor´s personalities, for example: Franco Nero (the first laureate), Gina Lollobrigida, Alberto Sordi, Geraldine Chaplin, Annie Girardot, Sophia Loren, Michele Placido, Daniel Olbrychski, Catherine Deneuve, Jean-Paul Belmondo, Ornella Muti, Klaus Maria Brandauer, Nastassja Kinski, Jacqueline Bisset, Isabelle Huppert, Omar Sharif, Liv Ullmann, Jeremy Irons, Gérard Depardieu, János Bán, Ben Kingsley, Claudia Cardinale as well as many Czech and Slovak significant actors and actresses. 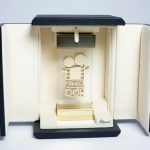 Since 2001 Art Film Festival awards prizes of Golden camera (a special festival award) to the excellent domestic and foreign film creators of various professions for distinctive contribution into the cinematography. 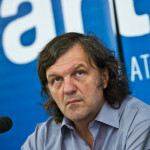 Relevant film creators like Roman Polanski, Jean-Claude Carriére, Emir Kusturica, Ettore Scola, Andrej Končalovskij, Ulrich Seidl, Andrzej Wajda, Alan Parker, Béla Tarr, Jan Hřebejk and other gained this award. The Blue Angel is a statutory award which is granted on the Art Film Festival MFF in the International competition of feature films over 60 minutes (Blue Angel for the best feature films – it is awarded to film producer; Blue Angel for the best direction; Blue Angel for the best woman´s actor performance; Blue Angel for the best male actor´s performance) and in the International competition of short films under 60 minutes (Blue Angel for the best short film – it is awarded to the film producer).